Want to attend all of the awesome Birmingham festivals but you’re tight on cash? Volunteer! I’ve been volunteering since I was a child. My father would take me volunteering just about every other weekend in the summer. I loved it and I never lost that bug. Fast forward to my broke college years. I realized that I could attend festivals for “free” just by putting in a little time. Little did I know, the years of volunteering in college helped foster my love for Birmingham. I would jump at the chance to volunteer at events like Brewfest, Y'all Connect, TedxBirmingham, Sidewalk Film Festival, and more! There are three major upcoming festivals in Birmingham: Secret Stages, Sidewalk Film Festival, and Birmingham Art Walk! Each of these festivals (highlighting music, film, and art) have their own unique set of volunteer opportunities and perks! So, let’s break it down with brief descriptions of each festival and some links to information on how you can help! Volunteers can do anything from working the door at one of the venues, to manning the VIP lounge. As perks you can get a cool Secret Stages volunteer shirt and passes to the festival! Check out their website for all the details. It’s coming up soon, so act fast! Secret Stages Volunteer page HERE. I LOVE Sidewalk Film Fest and have had the opportunity to volunteer quite a few times over the years! When Russell and I started dating, I made sure he joined the effort as well. (We were also broke at the time, lol.) 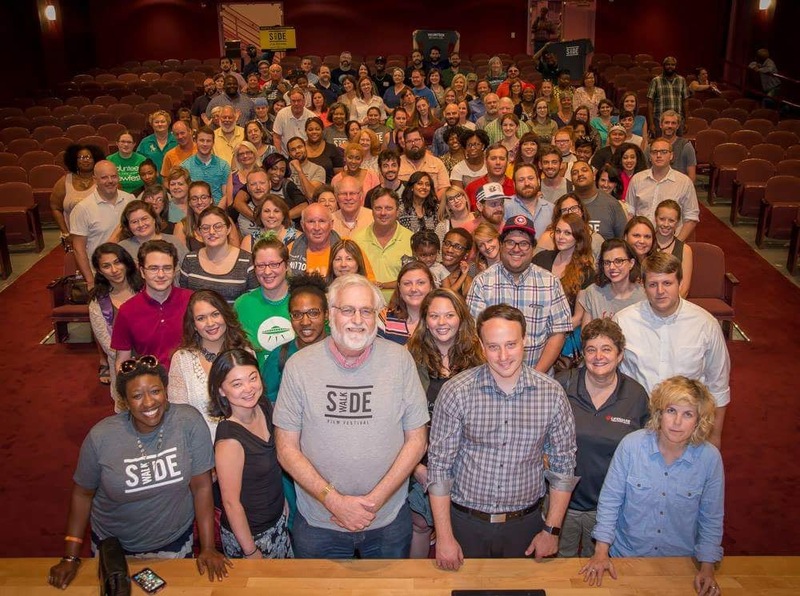 Of all the Birmingham festivals, Sidewalk Film has the widest array of volunteer opportunities. You can do ticket sales, work parties and receptions, man a venue...the list goes on. The perks of being a Sidewalk volunteer are wide ranging depending on the number of hours you work. This year Revelator is providing complimentary coffee for uniformed volunteers! My personal favorite perk is getting to work with such amazing people and having fun doing it. The sooner you sign up the more available positions and opportunities you’ll have to choose from! So head over to their website for a detailed breakdown of positions and perks and become part of something great! Sidewalk Film Fest website HERE. Sidewalk Film Fest Volunteer page HERE. 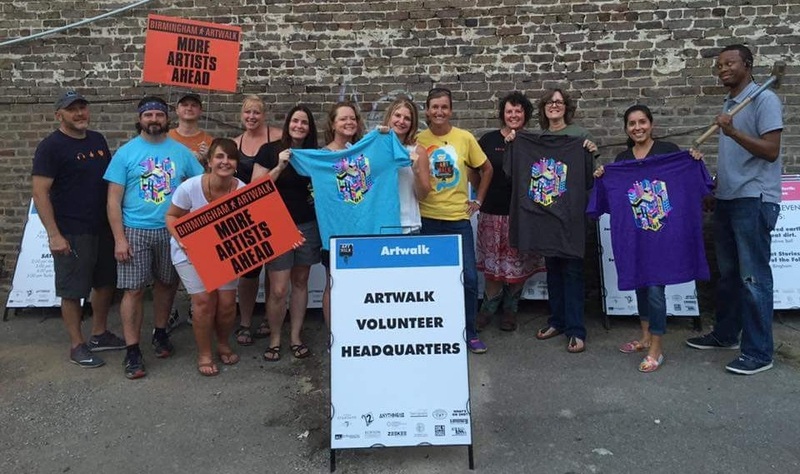 As Birmingham Artwalk grows each year, so do the opportunities to volunteer. 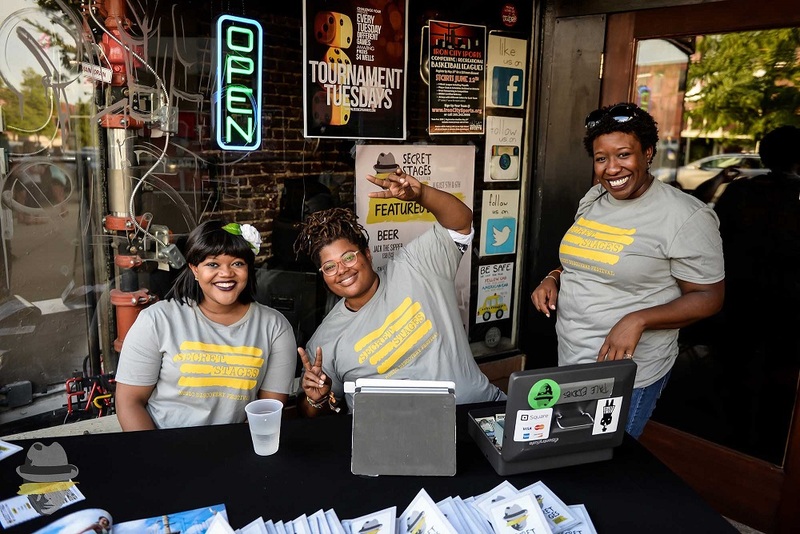 The Artwalk volunteers are the secret to a smooth festival and play a big role in bringing this enjoyable experience to the people of Birmingham. This is another two-day festival that takes place on Friday and Saturday. By helping, you can get a free t-shirt and a pass to the after party! The shifts are only 3-4hrs, so you’ll have plenty of time to enjoy the festival! This is a great way to get involved in our city’s art community and to meet some talented artists. Head over to the website, or send them an email to get signed up! Birmingham Artwalk Volunteer page HERE. "because I love seeing Birmingham come together like one big family." We agree with Lisa wholeheartedly. Few things bring us joy more than seeing our city come together to make a difference and build these strong relationships. If you have any questions about volunteering, feel free to email us at info@happeninsintheham.com.